Place all ingredients except onion and parsley in a narrow container and liquidise using a hand blender. Add chopped onion and parsley, stir and allow to rest for at least an hour. 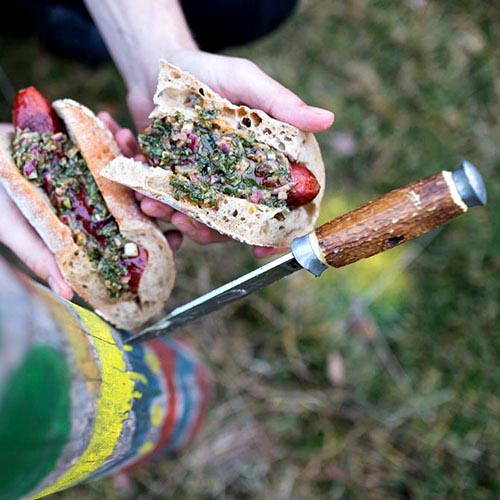 Grill sausages until crispy, put them in a baguette that has been sliced open, and pour on a little of the chimichurri sauce. This dish is perfect for parties. Everyone can grill their own sausages as the evening progresses, and you don’t have to do any work.